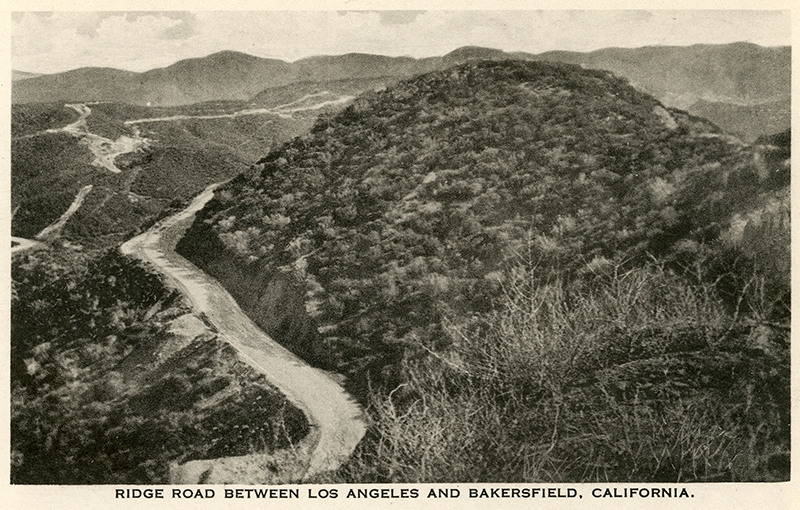 SCVHistory.com LW3369 | Ridge Route | Road Between L.A. and Bakersfield, Souvenir Postcard, ~1930s. "Ridge Route Between Los Angeles and Bakersfield, California." Printed souvenir postcard (lithographic or similar process; not RPPC and not exactly a BW halftone), divided back, unused, probably 1930s. Published by Western Publishing & Novelty Co. of Los Angeles, which was active from 1932 to the 1970s. From a photo by Theo Sohmer, who was active in the 1910s and 1920s. LW3369: 9600 dpi jpeg from original postcard purchased 2018 by Leon Worden.